Last week I got so wrapped up in reading this book. I couldn't put it down. It was an amazing and gripping tale that refused to let me go until I had read every last word. I was so completely entralled with this book that when my family started complaining of hunger - I had to find a quick and easy recipe to throw together so that they wouldn't waste away. I was able to put this recipe together without having to put my book down too much. Unfortunately I forgot to bookmark my recipe...so I am going by memory. Thank goodness it was quick and easy. Brown 1 lb of ground beef in a large dutch oven with half an onion. Stir in 1 Tbs chili powder and cumin then season with salt and pepper. When beef is cooked through add one can of fiesta nacho cheese soup, 1 can of tomatoes with green chilies and 2/3 cup of milk. Heat stirring continuously until heated through. 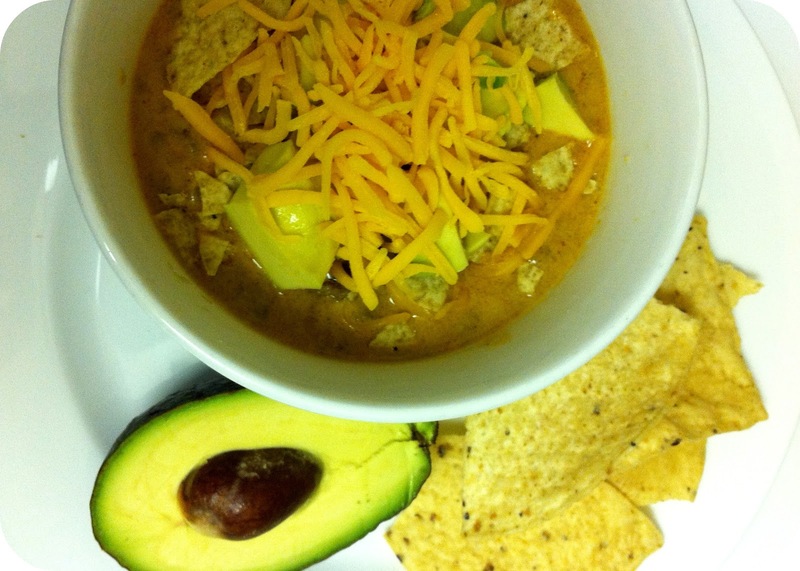 Top with your favorite nacho toppings: such as avocado, jalapenos. cheese and tortilla chips. Ohhhh...that is a GOOD book, I don't blame you for neglecting your children over that one :) I'm trying to catch up on my pile of magazines before I start on another book. I do a recipe similar to this in the crock pot with chicken...yummy on a cold night!